I got a copy of Ashen Winter at BEA, but haven't read it yet since I didn't read Ashfall. This makes me sad, because I don't have time to read ALL THE BOOKS! I know how that goes! You really should check out Ashfall when you get the chance, though. Thanks, I hope you have a great week, too. I hope you are able to get around to Ashfall. Oooh Salem's Lot. I haven't read that in ages. Great book for this time of year! Have a fab week of reading! I really need to read Salem's Lot again - such a good book. Ghost Town sounds spooky! I will have to read it - and then I am sure I won't be able to sleep but oh well. Lol. 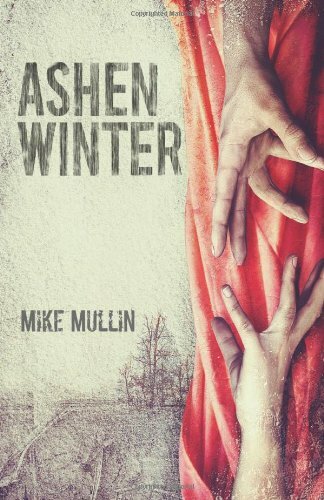 Liking the look of Ashen Winter though I suspect it might prove too scary . I am so excited to read your reviews for Ashen Winter and Jenny Pox. Sorry the Casual Vacancy didn't work out for you the first go round.